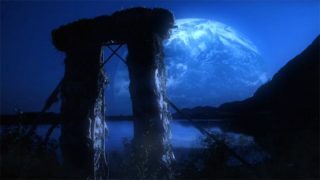 Jack O'Neill returns to Stargate this fall for at least one episode, GateWorld has learned. Also: Gary Jones in SGU. UPDATE: We’ve confirmed that Michael Shanks and Amanda Tapping are not shooting Stargate Universe on Monday. The story below has been updated. He led SG-1 through the gate for eight seasons, and helped launch Stargate Atlantis five years ago. Now Richard Dean Anderson is set to bring Jack O’Neill back to Stargate with what sounds like multiple appearances on Stargate Universe. The show’s fifth episode is currently filming, and is likely one in which Anderson will appear. It’s not clear yet whether this is “Earth” — which was previously indicated to be sixth for the season, and had a hint of O’Neill’s return in the casting documents — or the episode we currently have listed as fifth, “Water.” “Earth” certainly makes more sense. Will Anderson help kick off the show by also appearing in the first episode, as he and Michael Shanks (“Daniel Jackson”) did with Atlantis? Later the same day (today), former Stargate SG-1 co-star Gary Jones (“Walter Harriman”) appeared on stage at Creation Entertainment’s official Stargate convention in Vancouver, and told fans that he is appearing in an episode of SGU with Anderson. He noted that General O’Neill will have been promoted to 3-star general for the episode they filmed together. Confused? Stick with GateWorld this week and through the weekend for more news from the Vancouver Stargate convention! 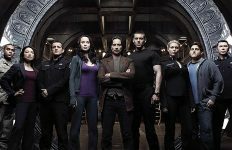 Stargate Universe is now filming for a fall premiere on SCI FI Channel in the U.S. This makes me ridiculously happy – especially the idea of O’Neill showing up in multiple episodes. Hurray! I’m just waiting for the SGA movies and it had better be plural! wow, did not expect that, SWEET! YIPPY !!!!!!! RDA back. i still have reservations about SGU, but i just may have to watch a few extra episodes just to see SG1 team. bring them back more so i can watch more … the whole SG1 team. throw in the SGA team too. SG1. SGA. SG1. SGA. where’s Samantha Carter. where’s Daniel and T’ealc. Lieutenant General Jack O’Neill? Holy Buckets! If they have the entire SG-1 team in the Pilot i would be in stargate heaven. just think … if it were the whole SG1 and SGA teams all show up in SGU, then think how wonderful that episode would be. it’d be an all star cast. SG1 SGA SGU all blended together. that would be the absolute most coolest thing they could possibly do and would absolutely never have been done before. i for a SG1 SGA SGU complete full teams episode. SG1 + SGA + SGU show would be absolutely wonderful. i vote for doing it. Is it just me, or does it seem like O’Neill’s being promoted insanely fast? I mean, I know he’s head of Homeworld Security now, but he’s gone from colonel to three-star general in six years. RDA as President much better than having shrubs in that role. This is great news. O’Neill AND Walter. Now we know that regardless of the ‘new direction’, whatever that turns out to mean, it’s still going to be Stargate, and there’s still going to be at least some connection with Earth. This should ally fears that it might seem too ‘Voyager-like’. These are still people from the SGC, and they’re gong to be doing their best to get them back and leave no man behind. Excellent! Congratulations on the promotion, General O’Neill! Interesting that they are going to be on SGU since this was to before the other gates took place. Ooh, a promotion. That’s exciting! I’m really glad to see RDA come back for a few episodes. I’m assuming this means the SGC can still call the ship periodically but the ship can’t dial back. Makes sense. 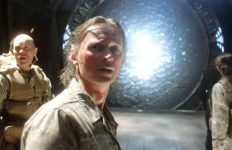 I like RDA and the other SG1 actors, but they sure are going all out to bribe former Stargate viewers into watching SGU! In response to Kate Carter. I always felt O’neill as well as Carter weren’t promoted quickly enough. He should be a 4 star General by now after all he has done for earth compared to all the other Generals in the Airforce. I look at it from this perspective; The only way you’ll see the original sg1 characters are through flashbacks. Nothing wrong with that…The show will get more respect if it’s done in that manner. Agree to disagree? yay Walter!!!! oh, and O’Neill too. I always liked Rick as Jack and im glad he’s back for “multiple episodes” i hope amanda and michael get to come back to SGU for the pilot and or earth cause we already know that michael is in the pilot. and im hoping rick is in it as well. Yes RDA!!! I quess they really changed there mind about having SGU loss from other Stargate series! Great to have RDA on SGU for one or maybe more episodes! 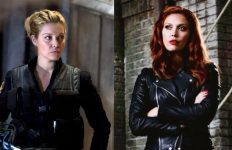 So, let me get this straight – according to TPTB, SGU is a stand-alone show, not another spin-off but two SG-1 stars were already announced to guest-star on the show. It’s an original concept but Destiny’s situation is quite similar (almost identical) to Atlantis’ S1 (no way to get home, taking in refugees etc. – the only thing that’s missing is a friendly alien). 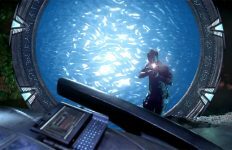 I am so glad to hear that SGU will not be as “stand-alone” as they claimed it would be. VERY excited. Would love to see crossovers from Atlantis as well. I’m not watching SGU anyway. YEAH!!!!! 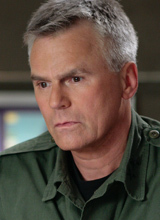 fantastic news Richard Dean anderson as Jack ‘O neill is back. Wow such good news. Hope they will ask him to do more in Universe. I agree Brad its good to have him back. I don’t know who said it, but 5 years is an amazing run time for a sci-fi show. SGA was sucessful in that it thrived as long as it did, despite the low ratings. I’m looking forward to to start of SGU! In my perfect world…The show would be called Startgate: O’Neil. And it revolve around the character of General O’neil. Maybe later on after a few episodes perhaps Daniel Jackson may show up with Teal’c. And they’ll say “Hey, let’s go see what Carter’s up too back at Atlantis”. And they would all go say “Whatsup” to Shephard. Cool. That definitely adds to the appeal of SGU for me. Thats lame. In my perfect world I would be right there with O’neil apart of the team…… with everyone else of course….. oh ya and after watching the trailer for SGU i dont think i will need anymore incentive to watch the show. it looks pretty intense. But they should at least have Rodney or Carter or both of them figure out the address for the ship. or maybe even Jackson could figure it out somehow….. excellent! Let hope he put in a descent performance unlike his other appearences in the last few years, which has been less than stellar. So is this what we crave now? Slim appearences and Scene Snippets.. Aaaahchooo.. what? I sneezed, and missed his cameo? Pretty Slim pickins for Stargate Fans.. Almost like throwing a well gnawed bone, to stray dogs..